Amsterdam is packed with exciting sights and attractions. But, what should you look at first and what not to miss? 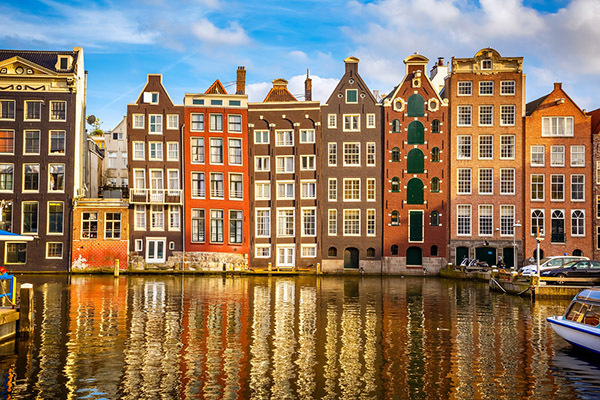 On this page, we have listed our top 7 things to do in Amsterdam for you. The following selection contains our absolute favorite attractions. Above, in the menu, you will find many more things to do. Many of them are free. Click on a picture to see all the information. Of course, Amsterdam has much more to offer. With our Top 7 things to do, you'll be well supplied for a weekend. If you have a little more time, have a look at the highlights in the menu above. There you will find many more ideas for your Amsterdam trip: rent a bike, go shopping in the Nine Streets, or enjoy a canal cruise. 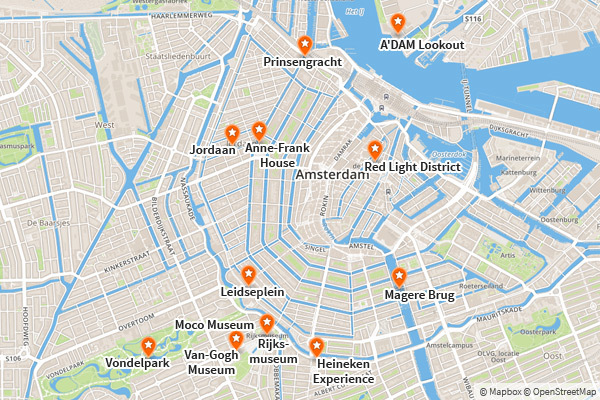 Download our free Amsterdam map as PDF. All the sights are marked on the map. Alternatively, click on "Map" in the upper right corner. The digital map can be zoomed and moved as desired. If you want, you can even display your current position (click on "My Position" in the upper left corner). To help you find your way around all these sights, we'll tell you where they are and how to get there. All sights and attractions (highlights) are marked with a star. Click on the image to open the map. To get a feel for the distances: From the main station to Vondelpark you walk about 30 minutes. From the main station to the Anne-Frank-Haus it is a 20-minute walk. A'DAM Lookout - The most beautiful view in Amsterdam?